Congratulations to tour winner Debra G. and to host winners books are love and Emily Carrington. 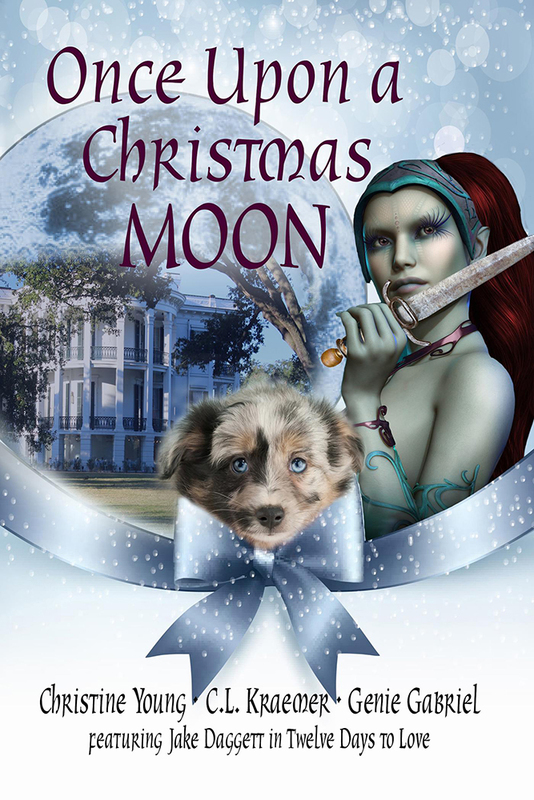 Goddess Fish Promotions is organizing a Virtual REVIEW ONLY Tour for Once Upon a Christmas Moon by Christine Young, Genie Gabriel, C. L. Kraemer, a 176 page Fantasy/Romance/Anthology available December 1 from Rogue Phoenix Press. The tour will run every Thursday for 4 weeks starting on December 14, and the book is available in PDF format. Christine Young, Genie Gabriel, C. L. Kraemer will be awarding one digital copy of Once Upon a Christmas Moon to a randomly drawn winner via rafflecopter during the tour, and a $10 Amazon or Barnes and Noble GC to a randomly drawn host. Because this is a review tour, GFP will be awarding a randomly drawn host a $5 Amazon GC. The Reading Addict can review 1/11/18. Thanks! I can do a review on January 11 at Mixed Book Bag. Locks, Hooks and Books can do Jan 4. Sharing Links and Wisdom can do December 21.